My little man will almost be 7. In 21 days to be exact. 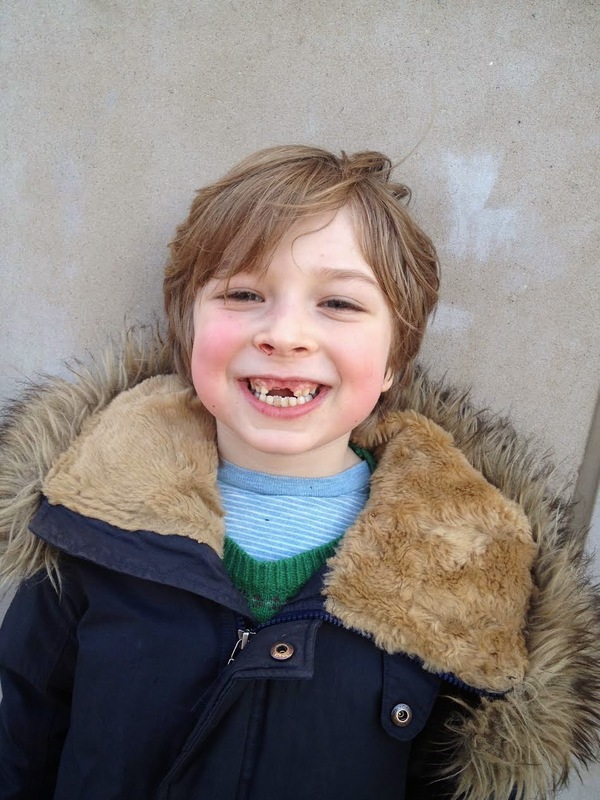 Yesterday he lost his second front tooth. We'd been wiggling it, including his sister and I, for days, trying to pry it out, looking forward to his gapped smile with anticipation. When I picked him up from school this is what he looked like, bloody nose and all. This picture says so much, from the ruddy cheeks and chocolate crumbs, bed-headed flaxen hair. His proud expression of a 1st grader milestone. The one time in our life that missing teeth is actually cool. I look at him, thinking how I'm just trying to hold on to my teeth for another 40 years or so. "Look! My new teeth are already coming in! ", he says beaming. "Take good care of them" was my reply while secretly wishing we had a 3 or 4th set to spare like sharks.